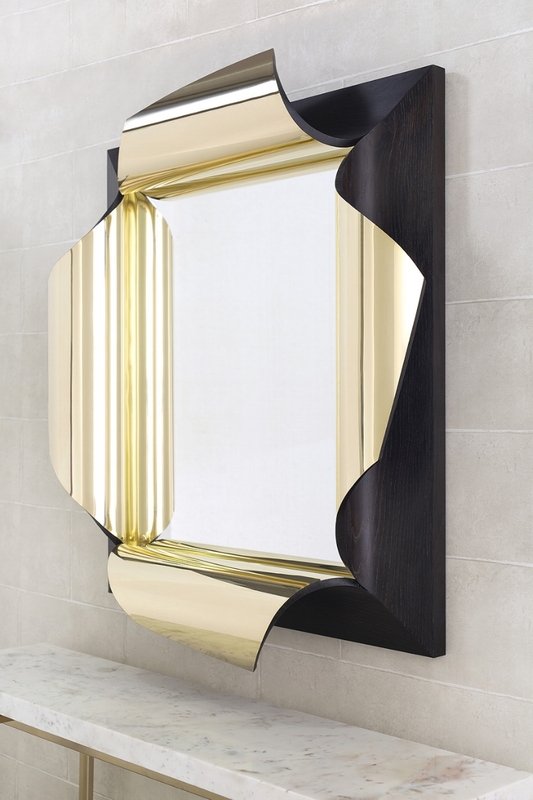 This mirror takes its cue from the Surrealist art movement and in particular Salvador Dalí. The paintings of many Surrealist artists were akin to windows into a strange world beyond waking life, often with an element of surprise and unexpected juxtapositions. 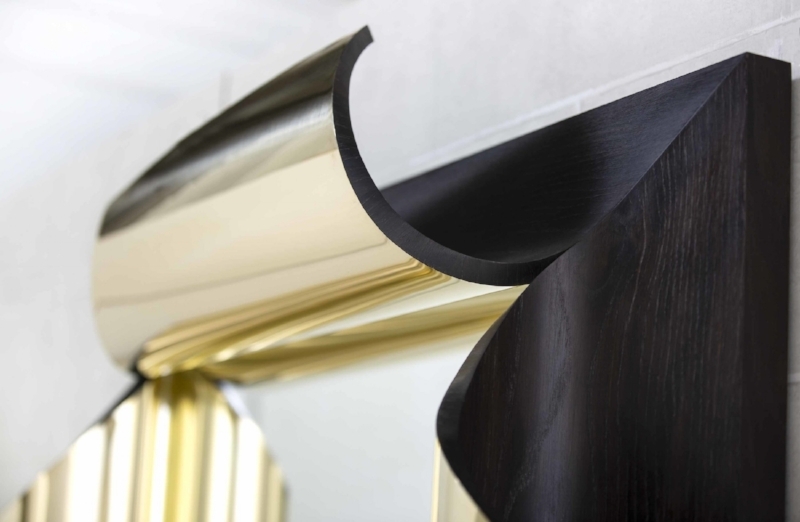 The simple act of peeling back the mirror frame creates unforeseen reflections that rebound from the central mirror and resonate light around. 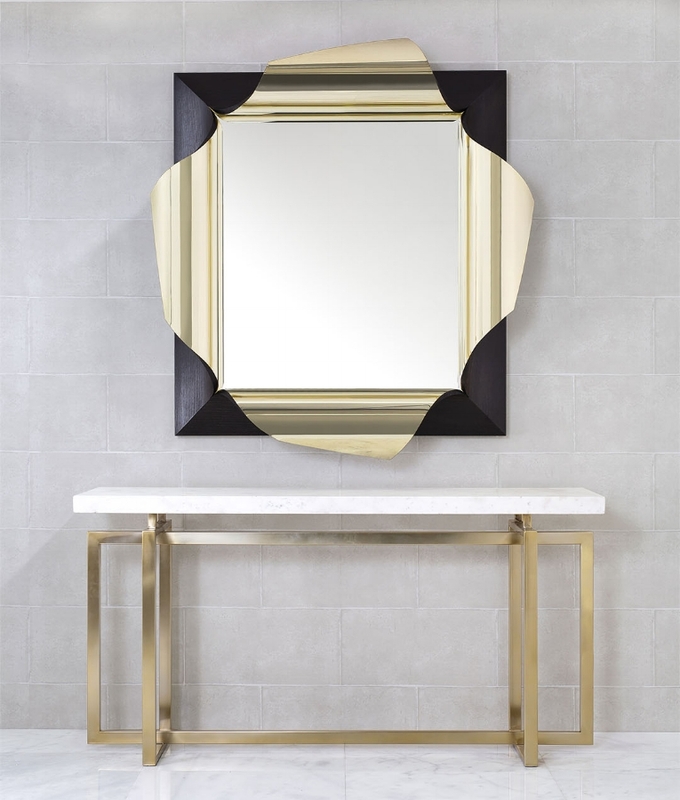 - Polished brass and smoked oak. Custom sizes and materials available. Large - H195cm x W137 x D23cm (77" x 54" x 9").